From left: Rwanda Ministry of Youth Affairs Permanent Secretary Emmanuel Bigenimana, KCB Rwanda Managing Director George Odhiambo and KCB Foundation Managing Director Jane Mwangi (third from right) present a cheque to one of the graduands during the ceremony in Kigali. The five best proposals from the graduating class were each awarded Rwf 3,000,000 (Ksh 345,000) seed capital to start their own business projects. 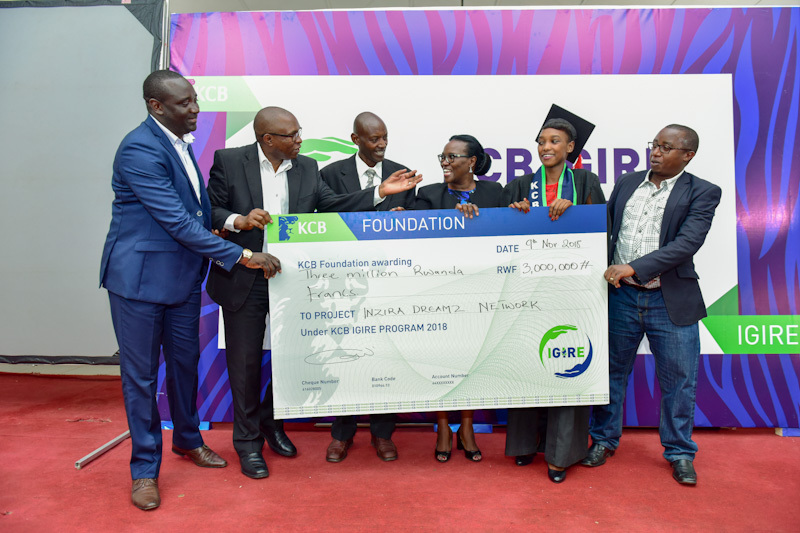 The KCB Foundation on Friday, November 10, 2018 graduated 90 beneficiaries of the inaugural class of “Igire”, its flagship youth wealth and job creation programme in Rwanda. The Foundation through KCB Bank Rwanda and the Rwanda National Youth Council launched a partnership in April 2018 to support 100 youth for six months to equip them with vocational skills to enable self-employment. The graduands were trained on Information and Communications Technology, Culinary Art and Domestic Electrical Installation at Integrated Polytechnic Regional Centres in Kigali, Ngoma and Huye. The courses were selected according to the general skills gaps in the market and the students’ preferences. Speaking at the graduation at Kimisagara Youth Employment and Productive Centre in Kigali, KCB Foundation Managing Director Jane Mwangi said “Igire” is a direct investment in the youth in recognition of their role in building the nation’s prosperity. “The value of vocational training cannot be gainsaid. By empowering the youth to take charge of their future, we are reducing the need to rely on formal employment to earn a living. 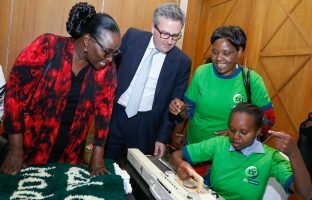 The skills students acquire throughout the training are essential for the market, where we all know there is a skills gap,” said Ms Mwangi. 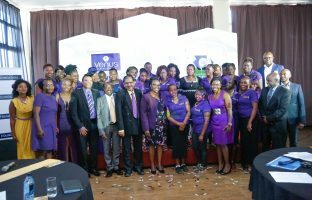 Ms Mwangi said the Foundation’s vision is to enable the youth be their own leaders within the communities they reside by molding a practical, knowledge-based labour force for the region’s sustainable growth and development. 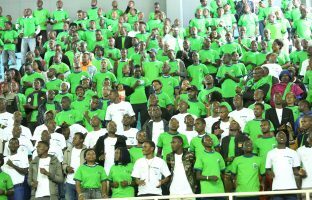 The Rwanda Ministry of Youth Affairs Permanent Secretary Emmanuel Bigenimana hailed KCB Foundation for its collaboration with the Rwanda National Youth Council on the initiative, saying the youth form a key component of Rwanda’s work force. “Acquisition of technical skills will not only enable our young people to get into self- employment, but will also promote their contribution to the economy when beneficiaries create jobs for their peers,” he said. KCB Rwanda Managing Director George Odhiambo affirmed the Bank’s commitment to continue supporting the youth and thanked the Rwanda National Youth Council for its collaborative efforts in supporting youth empowerment. 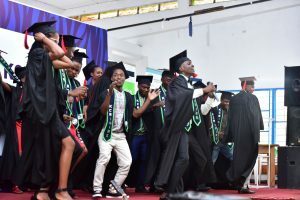 During the colourful graduation, the five best proposals from the graduating class were each awarded Rwf 3,000,000 (Ksh 345,000) seed capital to start their own business projects. Igire graduands do a jig during the graduation ceremony at at the graduation at Kimisagara Youth Employment and Productive Centre in Kigali. The graduands will be linked to the industry through opportunities to work with potential employers and investors. Graduates with viable business proposals will earn the chance to interact with interested investors known to turn ideas into thriving businesses across East Africa. The five best proposals will be given seed capital to start their own business projects. The National Youth Council (Rwanda) and KCB Bank Rwanda are working together to ensure the youth empowerment programme maintains the remarkable steps it is already making towards realising the objectives of the initiative. The Council partnered with KCB Bank Rwanda to integrate students in the community in Kigali, Ngoma and Huye and progressively into other regions within the country. ‘Igire’ is the Rwanda equivalent of KCB Foundation’s 2jiajiri, a youth wealth and job creation programme launched in Kenya in 2016. Given its success in Kenya, KCB Foundation rolled out the programme in Tanzania and Rwanda in 2017 and 2018 respectively, with plans to replicate it in Uganda. Since its launch, the programme has skilled over 23,000 youth beneficiaries on technical skills and financial literacy across the country and over 6,000 individuals have accessed business incubation support.